We were tasked with improving upon an existing logo that showed people in a field picking tobacco. The people in the original illustration were basically silhouettes and lacked any kind of detail, and it was hard to distinguish what they where actually doing. So we suggested dropping a group of people picking tobacco and instead illustrate a single tobacco farmer so we could give the figure more detail and definition. We then created a field full of tobacco, earth between the tobacco rows, sky and clouds to finish off the illustration. 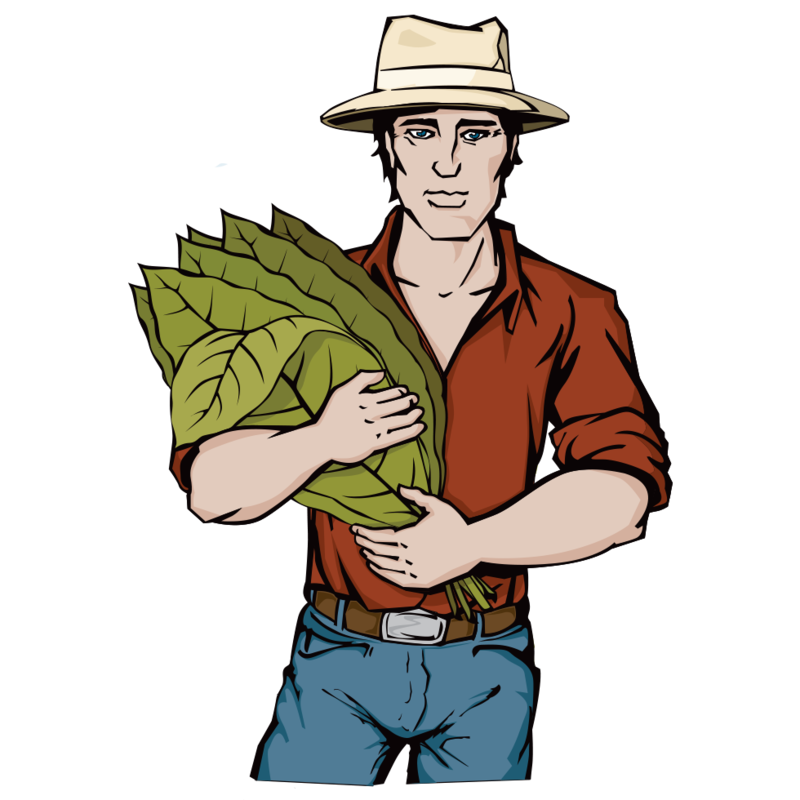 Here you can see the Farmer and two of the tobacco plants we illustrated for the field of tobacco.